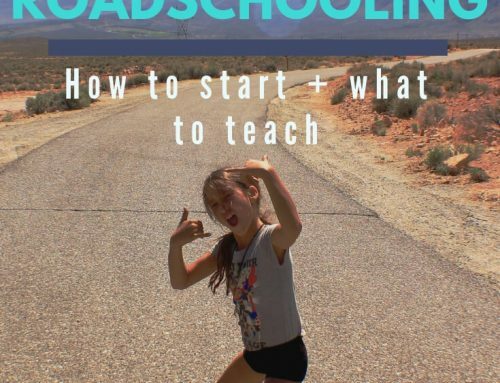 It has always been my dream to throw my family in a motorhome and hit the road. I have dreamt of doing this for as long as I can remember. When we first decided to give it a try, it was going to just be for five months, but we enjoyed it so much that we have continued traveling now for a year and a half. As I’m writing this blog, we are halfway through with our six month long Europe trip. First off, camping and living out of an RV in Europe is much harder than it was in the States. The second thing to remember is that just because you are living your dream, doesn’t mean it is easy. I know lots of moms who tell me that it was their dream to be a mom, yet I don’t know any mom who would say their life is easy as a mom (or as a dad for that matter). My kids see first hand how precious resources are and the impact our footprint has on the Earth. When you are camping or living in an RV you are thinking about three things: water, electricity, and sewer. Rarely do we have these three things! 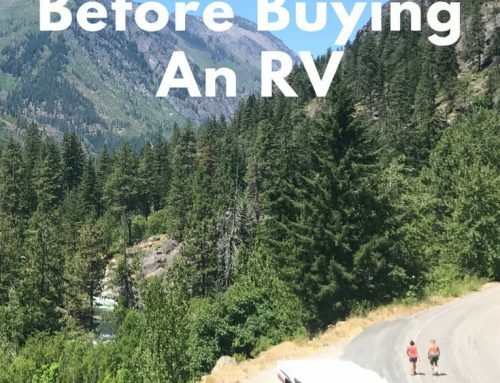 I’m sure there are a lot of people who travel from one KOA to the next and don’t worry about these things, but a big reason we are able to do this is because we are doing it as cheap as possible. In the end, this means a lot more sacrifice. We are constantly limiting how many resources we use because we aren’t sure where we will find the next place to fill water or dump. For me, the biggest challenge has been doing dishes. When you are limited in your water supply or dirty water storage, you have to get really creative when it comes to cooking and cleaning for seven people, especially considering we rarely eat out. If you live in southern California you are well aware of the drought we are facing. When we drove through the Western United States last year, we followed our water supply up the Colorado river all the way to the Rockies and my kids have become very conscientious of how far our water has to travel to get to us. We happened to be in Colorado after it just received a record amount of precipitation so it was hard to believe we are in a drought, but they recognize the reality of how much water is both needed to support so many people in so many states and how much is wasted. Not that everyone should live this simply, but being more aware of how many resources we consume in our everyday lives is something we all could use. Just because we can obtain it easily doesn’t mean we should overuse it. Every little bit of conservation helps. My kids have learned to have a huge appreciation for the comforts we once took for granted. Water, electricity, showers, wifi. I’ll admit, our hygiene is a little embarrassing. Luckily the trees, squirrels, and deer don’t mind. It was hard at first to not shower every day, but when you are immersed in such beautiful surroundings and get so much enjoyment out of everyday, it starts to be less important. Getting my youngest two to shower is so much effort and so exhausting that I have to admit it’s really nice not having to go through the bedtime bath battle every night! Our youngest, Tatiana, has always had dry skin and now that she doesn’t shower every day her skin has been great. I actually take a lot of pride in how dirty Jiraiya is. After all, he is an eight-year-old boy, isn’t he suppose to be dirty? (He’s ripped almost all his shorts on this trip from climbing rocks and sliding in the dirt). Ask my kids about wifi and they’ll say it’s as elusive as the loch ness monster. The first month they complained and tried to search it out at the library or Starbucks, but now that we are always on the move and usually in the mountains, out of cell service, they’ve just given up and resorted to other forms of entertainment such as board games, reading, charades, creating imaginary worlds, and video games that don’t require internet connection, that lack of wifi hasn’t been as devastating as it may have seemed at first and when we do get it, we value it more. A true connection requires time and space. Victor has felt this the most. Without the constant pressure to “provide and parent” he now gets to share in so much conversation and quiet time with our kids, which are often moments that can’t be forced and can only be captured in their own time and space. These are the quality moments that are irreplaceable to a parent. If you were overhearing a conversation between Victor and the kids you might have trouble following it. Because we have limited space and resources, we spend a lot of time watching movies together (as opposed to each child watching something on their own iPad in their own room). So now my family communicates in obscure movie quotes (like every time we dump the crap you hear, “It’s basic hydraulics.”, “I’ll go get the tortilla chips.” , and “Bring ‘em!”…if you don’t know what I’m talking about go watch the movie RV with Robin Williams). It’s pretty hilarious when our five year old is quoting movies. Even just amongst the kids time has created this separate universe for them where they build teams of super heroes and super villains. I’m usually cooking or driving so I haven’t figured out all the details, but it warms my heart seeing them bond. As much as I love talking to my kids, I think I most appreciate that we are together so much that it’s okay to sit and drive or hike in silence, daydreaming and reflecting. Being outdoors is as natural to us now as eating and sleeping. The wilderness has become our living room. We move places a lot, but each place we move to centers around some form of exercise, either hiking, rock climbing, or surfing. For Gabi and I this is the best part of our vagabonding lifestyle. We love the excitement of waking up wondering what physical challenge awaits us that day. Our oldest, Danny, runs ultra marathons and is always looking for some trail or bike lane that he can cover 15-20 miles on. Isabelle is our monkey and loves it when we find a campground or hike that has trees she can climb. When we were living a traditional life in a house with electricity and wifi, getting my boys away from electronics was a constant battle and sending them outside to play on their own wasn’t always a safe option. Living in a campground changed this for us. Within a week of living the camping life, Jiraiya taught himself to skateboard and was constantly asking to ride his bike or razor. The kids are less cranky because they are always out playing and everyone sleeps very deep because we get so much fresh air everyday. The best part is that getting outdoors is so much less effort and work for me because it’s literally at our front door. 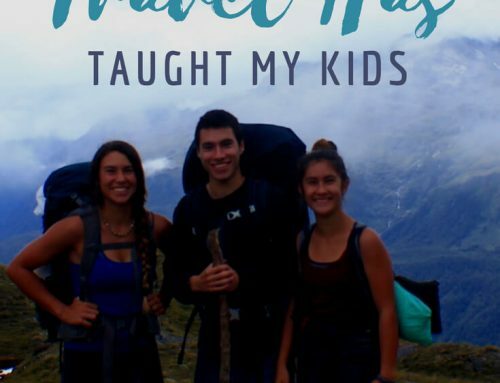 We take our kids on a lot of hikes. If we aren’t rock climbing, which also requires a hike or “approach” to the climbing location, then we are hiking 2-4 miles a day (sometimes more if the younger kids aren’t with us). There is a lot of whining some days, but there is no quitting. I might carry a child for part of it, but we don’t turn back and we all finish together. I like having tough kids, it’s really important to me because I can see the sense of accomplishment on their face when they’re tired and they’ve pushed through the fatigue and sucked it up to finish. It’s the hard that makes it meaningful, but more importantly, it makes the meal afterward taste so good. This may come as a shock *sarcasm*, but I love adrenaline. Victor, he will tolerate it, but it takes him some time to feel things out. Genetics are powerful. We have two kids who are fearless, two kids who are very fearful, and one in between. They were definitely born prewired, however, I am a strong believer that nurture makes a huge impact over time. That is why I continue to expose all my kids to many of their fears in hopes that over time they will decrease. For instance, Daniel hates heights and we visited many canyons over the course of our trip. At first, he wouldn’t even walk to the guard rail to look over the edge and by the end of our trip he ran along the rim of Bryce Canyon and has scrambled to the top of some very large mountains in the UK. The most amazing coincidence occurred on one of our trips while living in our RV. While walking to one of the overlooks in Black Canyon of the Gunnison, we stumbled on a Ranger giving a presentation on overcoming your fears. It was great that the kids could contribute to the presentation by describing the fears they have learned to work through on our trip. We’ve covered a lot of miles in the past 500 days. Some days we would wake up in the desert and twenty-four hours later we would be up in the snow. When you drive in California, it is hard to see where one city starts and another begins. But there are so many parts of our country where there is nothing but land for hundreds of miles and towns that if you blinked you’d miss them. It’s kinda funny, but our family now talks in miles. How many miles are we driving today? How many miles is the hike? We’ve now traveled through 15 countries! Even though many European countries are densely populated, there is a lot of open space between cities and Europe is still made up more of countryside than city. Our children are quite shy (well maybe not Tatiana). When you are camping ten feet from someone or when you pass someone on a hike, I can’t help but smile and say hello. Being friendly makes a difference. It’s amazing how contagious smiling and being nice can be. Setting this example for my kids is paying off. I catch them saying “hi” and smiling at strangers more and I can see their perception of the world changing. If you live in a big city, which most of us do, kids are taught to beware of strangers and a lot of kids are so self-conscious that they close themselves off to the outside world. However, we are social creatures and it is our innate nature is to be helpful and compassionate towards our neighbors. Camping makes this easier. There’s something about being in a campground or out on a hike that brings out your better self. I love that my kids are learning first hand that there is a lot of good out there in the world and that we have more in common with our neighbors than we may realize at first. It takes effort from all of us to make this wok. Everyone has to pitch in to do dishes, cooking, sweeping, picking up, and watching over the smaller kids. When we get to a campsite everyone knows what must be done to set up and when it’s time to pack it up and move on they repeat the chores in reverse. It’s not militant, but it does feel like we are a team, working towards a common goal. One of the hardest parts of living in such a small space is the line to get into the bathroom before bed. At first, this caused a lot of frustration and arguments, but as time has passed they have learned to just make jokes and laugh about it. As much fun as we are having on our journey, there is still a sense of something missing because we aren’t getting to share these experiences with family and friends. If you ask my kids, the biggest thing they miss about home is seeing their friends and cousins. Hiking with friends as we travel the country in our RV. I am grateful that they take on this adventure with me and I also can appreciate that they sacrifice a lot of social interaction, which is certainly hard for a teenager. As with everything in life, it’s a balancing act and I think they are doing a great job trying to get a little bit of both. Everyone has heard the saying happy wife, happy life and in our family, this definitely rings true. 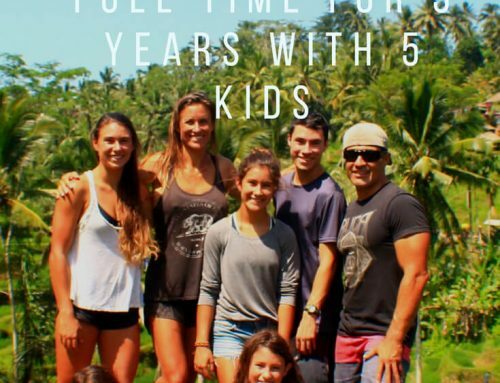 I don’t know if this was true for other wives, but when I got married and said my vows I wasn’t thinking, I can’t wait until we have lots of kids and you go to work all day and make money so I can clean a big house all day and maybe we will get to talk for 15 minutes after the kids go to bed, but I’ll be so exhausted that I won’t want to do anything else. All I was imagining at the time was sharing lots of time and moments together. My kids are happiest when they see Victor and me happy. If I had to pin it down to one exact thing, it’s TIME. We have time for each other again and time for creating and sharing experiences together. It has made a difference. Now, I’m not telling everyone to go live in an RV, but maybe ask yourself, “What’s important to me? What makes me happy?” If RV living aligns with that then go after it! 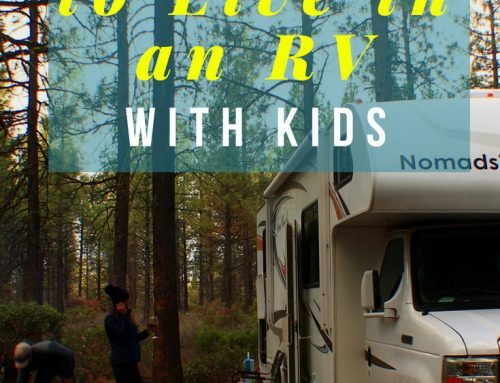 Got questions about living in an RV with kids? Let us know in the comments below!